SYNTHETIC FLUORPHLOGOPITE, NYLON-12, MICA, LAUROYL LYSINE, ZINC STEARATE, C12-15 ALKYL BENZOATE, POLYETHYLENE, DIMETHICONE, ISOSTEARYL PALMITATE, ETHYLHEXYL PALMITATE, CAPRYLYL GLYCOL, BORON NITRIDE, PHENOXYETHANOL, DIMETHICONE CROSSPOLYMER, HEXYLENE GLYCOL, TIN OXIDE, LUFFA CYLINDRICA SEED OIL, CYCLOTETRASILOXANE, [+/- (MAY CONTAIN): METHICONE, POLYPERFLUOROMETHYLISOPROPYL ETHER, RED 40 LAKE (CI 16035), YELLOW 5 LAKE (CI 19140), ULTRAMARINES (CI 77007), IRON OXIDES (CI 77491, CI 77492, CI77499), MANGANESE VIOLET (CI 77742), TITANIUM DIOXIDE (CI 77891)]. The perfect product to contour and sculpt your face, enhancing only the best features and diverting attention from any imperfections. With high pigment color concentration and translucent coverage the illusion of a more structured face can be achieved without an excess of product. Blending with an angled brush will ensure best application. Lighter colors in the collection should be used to highlight, add volume, and draw areas forward, the darker colors, on the contrary, are used to shade and push them back, ultimately creating a lifting and slimming effect on the face. IF YOU LOVE KEVYN AUCOIN SCULPTING POWDER? GET THIS. I'm such a cult fan of Kevyn aucoin sculpting powder. and that is expensive...sadly. But this one is just perfect color, perfect texture and great bleandability. I'm really fair and warm tone. I 'm so picky about contouring powder because really lot of contouring powders are leaning toward too red or orangey. Not enough grey under tone for my liking. But this one is really different. If you know that Kevyn aucoin did renewal the contour powder. And that definitely changed!!!!!!!! texture is little bit more dense and color........changed. still lovely and greyish. but now it really has little bit of red undertone for sure.. BUT, this Inglot one is more similar to previous one. And I really happy about that. Just.. so great. less expensive, more product (amount). just perfect. Not sure why this shade isn't getting any love!!! 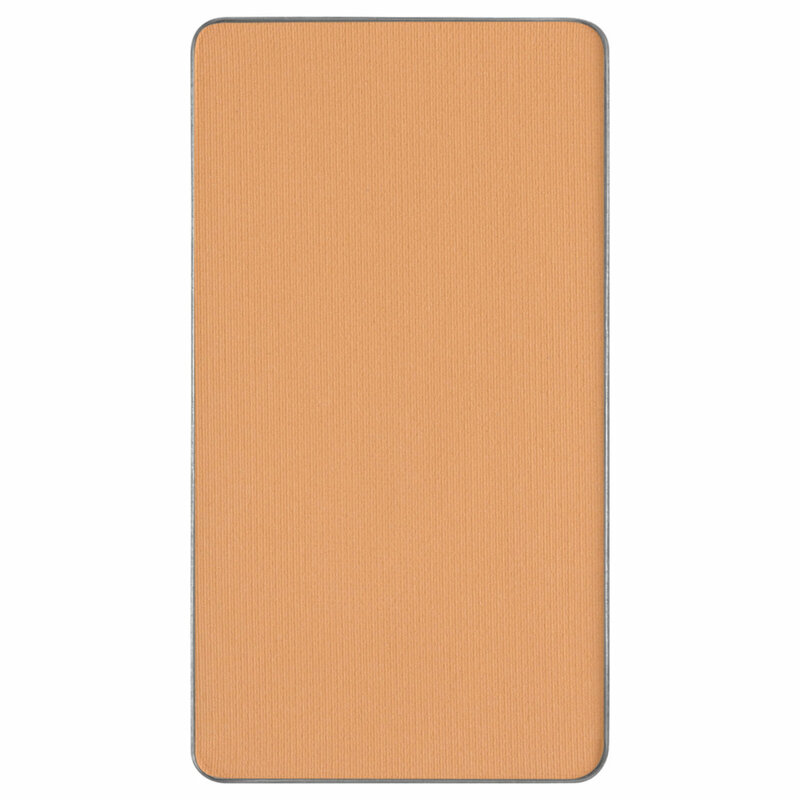 It's a great cool toned beige that is excellent for contouring. I love this on my cheeks and its a perfect nose contour. Sometimes i deepen my outer cheekbones with a little bit of 505(perfect taupe) but this shade is perfect for light skintones. Shade 504 and 505. I love these 2 colors pigmented but to much where you can go over board easily. Blends out nicely and has alot of options. The shade is similar to the KA sculpting powder medium. It is easy to blend and works very well on my face. I really like to use it for my contouring. Inglot is very affordable. I love it so much!!!! I've never contoured before..this was my first product! Before I became apart of the Beautylish team, I contacted customer service and they made this recommendation after learning I was a noob, super fair skin, and already owned the appropriate brush. I've since used it several times and it always looks lovely. Easy to blend, very forgiving, and beautiful on my skin tone. Note- this is apart of the freedom system, so it's a pressed powder in a metal pan, not in a compact or container with a lid. 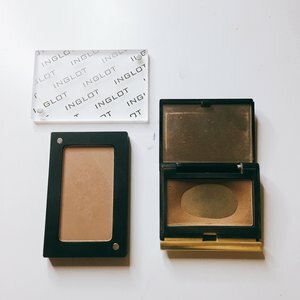 So, you'll want to also purchase an Inglot Z-palette where the powder will ultimately live. It's all magnetic, so basically you add all of your Inglot products to the Z-palette to create a custom palette with all your favorites. It's awesome! I used to be a KA fan. I love both products but I can confidently say that I love this Inglot 505 better! This is a lot more affordable than KA. I even like it better despite their prices! The shade is very natural and looks good on me. Comparing to KA medium, this is a little lighter and easier to use. KA has just a little bit red compare to this, which could make my face look dirty if I use too much. With Inglot 505, I can blend without a problem. You can kind of tell from my photo that KA is more red than Inglot. Before buying this, I was so struggled to what this shade would be like. I already owned Giorgio armani sheer blush in 05 violet beige and burberry blush in earthy. Sadly Armani one is discontinued... and I was sooo upset about that. I was doing everything to find alternateives to Armani one. but always something was wrong.. AND!!!!! I FOUND IT!!!!! THIS IS IT!!!!. texture is as creamy as that and so pigmented and the shade is just perfect. maybe has little bit more grey under tone that I appreciate. Definite repurchase for sure. 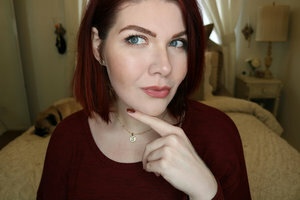 Just so thankful that Beautyligh carries this brand.